17th of November at 4:00 pm at Daugavpils Mark Rothko Art Centre with six new world projects will shine New winter exhibition season. Through an easy flow and landing in reality, with the charm through history, with the most vivid of the last century art page separations, dreams and fantasy of European and Chinese artists’ eyes in the year 2016 are opened last large exhibition season. It talks about people through works, humanity, their experience, understanding the feelings of today, look at the past and the progress of the future. 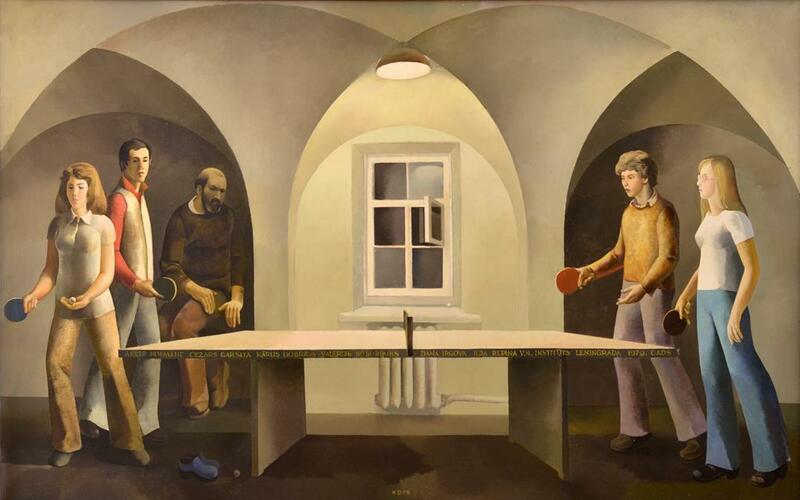 At November exhibition season will be seen solo exhibition REALITY of, in Germany living Armenian artist Eva Harut, Artist’s Union of Latvia 75 year anniversary collections exhibition PING-PONG. THE CHEMISTRY OF IDEAS, an international group exhibition of Pashmin Art Gallery representing Asian and European art in exhibition WORLDS OF DREAMS AND FANTASY. Latvian art space will represent the artist Zaiga Putrāma with exhibition THE MEETING OF SUNS and artist from Daugavpils Natalya Marinoha with exhibition FLOW. But the biggest agiotage and interest makes popular Russian art historian Alexandre Vassiliev collections exhibition CHARM OF THE VICTORIAN FASHION that in Eastern side of Latvia will be seen for the first time. Winter exhibition season will be seen till 29th of January year 2017.